I’m a little confused. 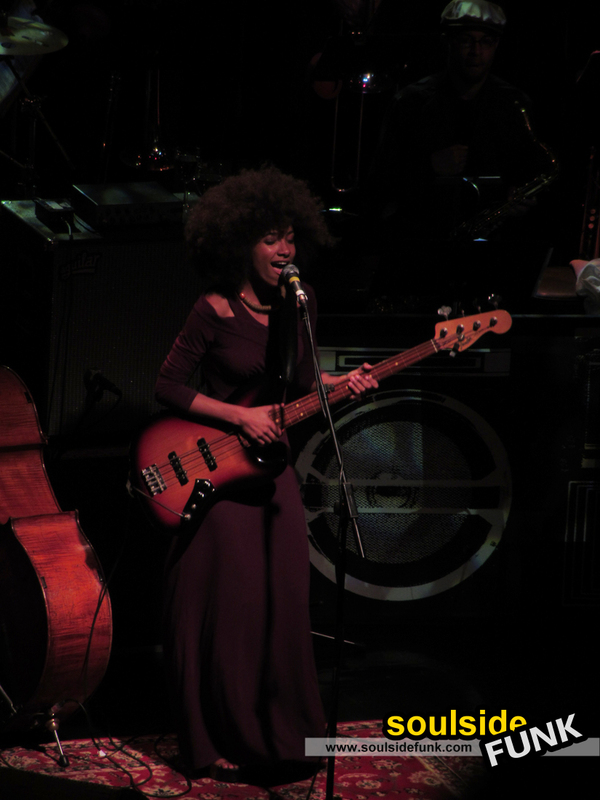 I cannot decide if Esperanza Spalding was incredibly brilliant last night or if it was a show that could have been more. There is no denying Ms. Spalding is a supremely talented musician. Wearing a full length purple maxi-dress she owned the Koko stage. Swapping between Double Bass and Guitar her sweet vocals soared at times, she was in complete control. At times it was a masterclass on how to perform live. Between each song there was the usual intro; a few words (or a long story) setting the scene for the song. These felt very scripted; overly rehearsed and polished. They had me looking around like crazy for the teleprompter from which she was reading it felt so well practiced. This works for some shows, however it felt out of sync with the gig atmosphere Esperanza setup inside Koko. I wanted a bit more spontaneity – a chance to get to know Ms. Spalding a little. The arrangements of her songs was out of this world though, with virtually every one featuring a blistering solo. She fused Nu-Soul with jazz effortlessly to big effect; saxophones wailing, trumpets hitting seemingly impossible notes and trombones adding that groove. I Can’t Help It was probably my pick of the songs, the live version was close to 10 minutes (if not more) with an awe inspiring saxophone solo. Her song celebrating “Kings” was a beautiful record with heart-warming message which served to counter the melee of solos in some of the other songs. At times though, the solos did feel like an onslaught and you really had to concentrate to appreciate them and their musicianship fully. Something that is a lot easier to do in a venue like The Barbican or Royal Festival Hall and more trying in Koko. Ultimately, I think the venue was not grand enough for Esperanza. 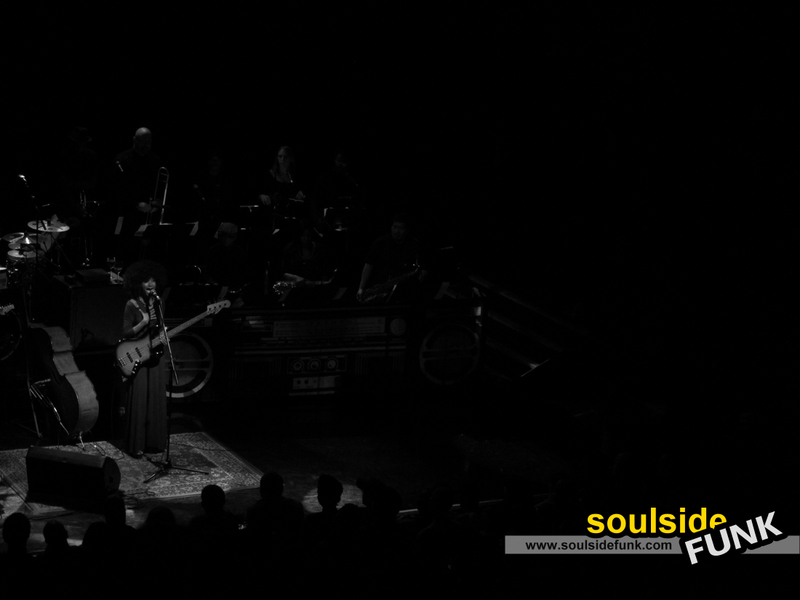 Her music is so panoramic, so expressive, that it needs a venue to match. It was almost as if she was trapped inside Koko and it could not match her. And I think this is why some elements of the show did not seem to work. Anyone going to her show in the Royal Festival Hall for London Jazz Festival will be in for a treat because it is a perfect venue for Esperanza. She’ll no doubt be flying. 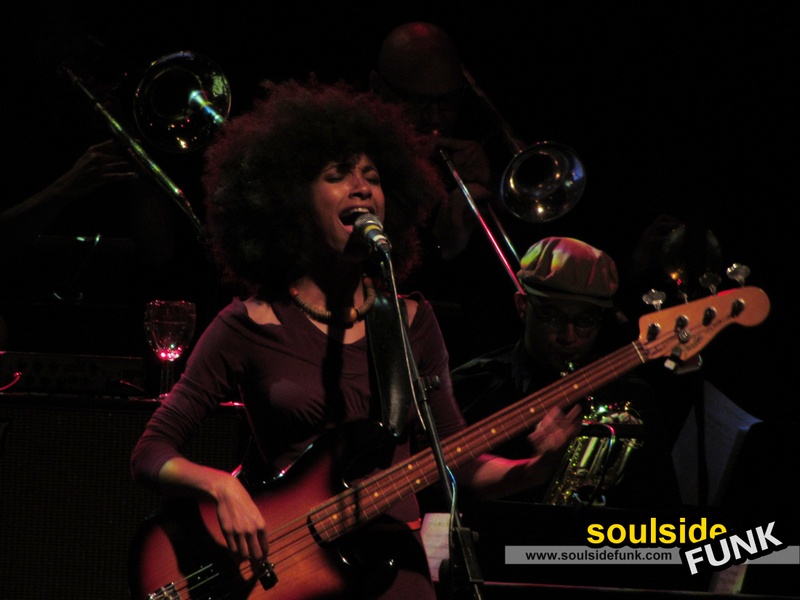 Posted in Gig Photos, Gig ReviewsTagged Concert, Esperanza Spalding, Gig, KOKO, Live Music, LondonBookmark the permalink. Thanks for the review as I thought it was just me who left feeling slightly under-whelmed which is such a contradiction when you consider the superb musicianship on show (who was that female sax player? )….I couldn’t explain the (very slight) disappointment but wrong venue might well be it. Thanks for the comment Dominic. That’s her! 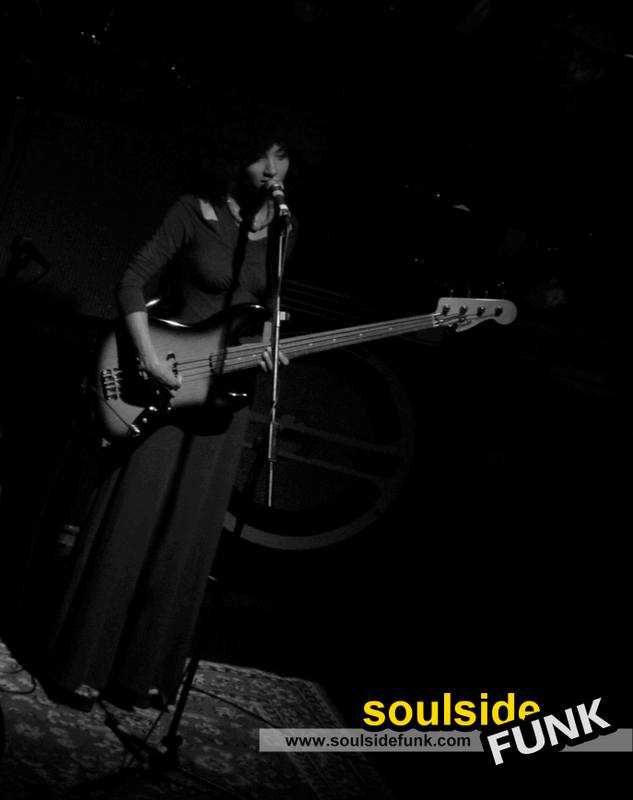 Tia Fuller, she was incredible and I see she has released albums which I need to check out. Why haven’t I heard of her before?